Guantanamo Bay Detainees: 9 Yemenis Released Dropping Remaining Number To 80 : The Two-Way The group transferred to Saudi Arabia represented just over 10 percent of the population that remained at Guantanamo. It's another step toward Obama's goal of shuttering the facility by next year. A detainee cell in Camp 6 inside the U.S. detention center at Guantanamo Bay, Cuba in February. The U.S. has transferred nine Yemeni detainees from the Guantanamo Bay prison facility to Saudi Arabia. The group represented just over 10 percent of the population that remained at Guantanamo. "The Department of Defense says that all of the men were approved for transfer, after a comprehensive review was conducted. They had been in negotiations with Saudi Arabia to facilitate the transfer for years. "The Obama Administration has promised to shutter the controversial Guanatanamo Bay prison facility by next year." After this latest transfer, the population at the facility stands at 80, Nathan reports. Video released by the Saudi channel al-Ekhbariya shows the men hugging their family members and receiving medical care. "By God, I would dream about him at night. I would get up and pray during the night, praise be to God. God answered my prayers 15 years later ... 15 years later," the father of one of the released detainees told the channel. According to Reuters, U.S. officials say the men will now go through a Saudi "government-run rehabilitation program that seeks to reintegrate militants into society." Obama plans to visit Saudi Arabia later this week for a Gulf Cooperation Council summit. Officials chalk up the timing of this release, so near to that trip, as a coincidence, according to the wire service. Calling it a "breakthrough," Reuters reports that "Riyadh had long resisted taking any non-Saudi nationals from the prison." It adds that the U.S. did not send the men to Yemen because of the ongoing war and active militant groups like al-Qaida in the country. A statement from the Pentagon thanked Saudi Arabia's government for the "humanitarian gesture and willingness to support ongoing U.S. efforts to close the Guantanamo Bay detention facility." Many Republican lawmakers strongly oppose transfers like this, fearing the detainees will get involved in militancy upon their release. Ba Odeh, the most prominent of the group, was detained in February 2002 and never charged, according to his legal representation, the Center for Constitutional Rights. In a statement, Ba Odeh's lawyer Omar Farah accuses the U.S. government of playing "Russian roulette" with his client's life: "It stood by as he wasted away on hunger strike to 74 pounds, intervening only to force liquid supplements through his nose, block his appeal for humanitarian relief in federal court, and sabotage a deal that would have secured his freedom and access to emergency medical care months ago." He adds: "That he survived is not so much a cause for celebration as it is a reckoning that ought to remind the White House of the cost of elevating politics over the life and liberty of a human being." 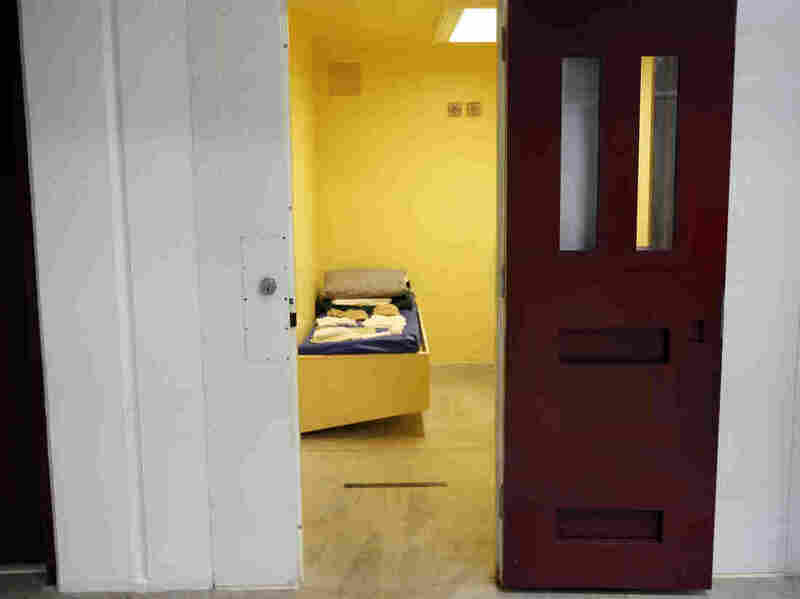 "A total of 16 detainees were transferred out of Guantanamo in January, including 14 in the first two weeks of the year and two a week later. (One additional prisoner was slated for transfer, but refused to go.) There were no transfers in February or March."